Sweet little Taran is an absolute darling, when he arrived at Bristol DAWG he was in terrible condition, one of the worst cases of neglect we have seen. He immediately went into a foster home, where he stayed for many months until he was well enough to be rehomed. He has now been adopted by Clare and Garth and has a wonderful new home, where he is very loved and spoilt. 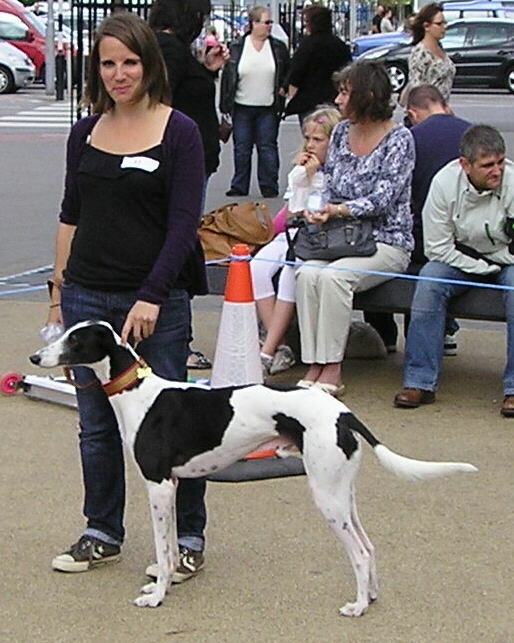 Clare and Gareth are still working on socialising Taran and getting him used to other dogs, but he attended our dog show on the 10th September, and he was an absolute little angel and was so well behaved. He did actually win a 3rd Prize Rosette ? well done Taran. Clare has bought Taran a huge bed, it is big enough for a Great Dane!! perhaps there might be room for another at sometime in the future?